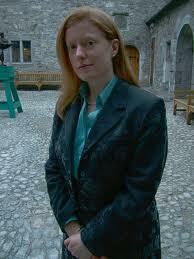 Claire Nolan is originally from Kilkenny and now lives in Dublin. She holds a Bachelor of Arts, a Diploma in Law and is currently working on her Masters. She has always written, but only recently considered publication, and the history of her beautiful home town is an excellent place to start. Having learnt of the story of Alice Kyteler as a child, she decided in 2005 to write her own version of the story on the life of the notorious noble woman who disappeared without trace in 1324. She was thought to have supernatural powers and to have poisoned several men, including three of her husbands though Dame Alice Kyteler escaped being burned at the stake on witchcraft charges before the authorities got a chance to torch her, has just come to light.
. 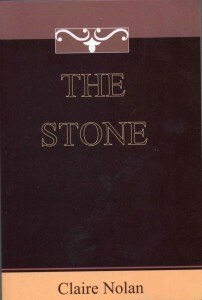 The Stone is the result. She lives and works in Dublin and is currently working on her second novel which will be about the Ladies Marathon, which takes place in Dublin in June of each year. The Writer’s Passage is a series exclusively produced for Podcasts.ie under the Arts Council of Ireland’s Literature Project Award. In this series we are bringing you ten shows, each one detailing the location or locations from a well known book. In each episode the author of that book will bring us on a tour of the areas which are relevant to them and to some of the context within the pages of their book. The Writer’s Passage will bring you on a journey from Sligo to Roscommon, Longford, Kilkenny, Mayo, Tipperary, Antrim, Waterford, Cork, and Dublin.